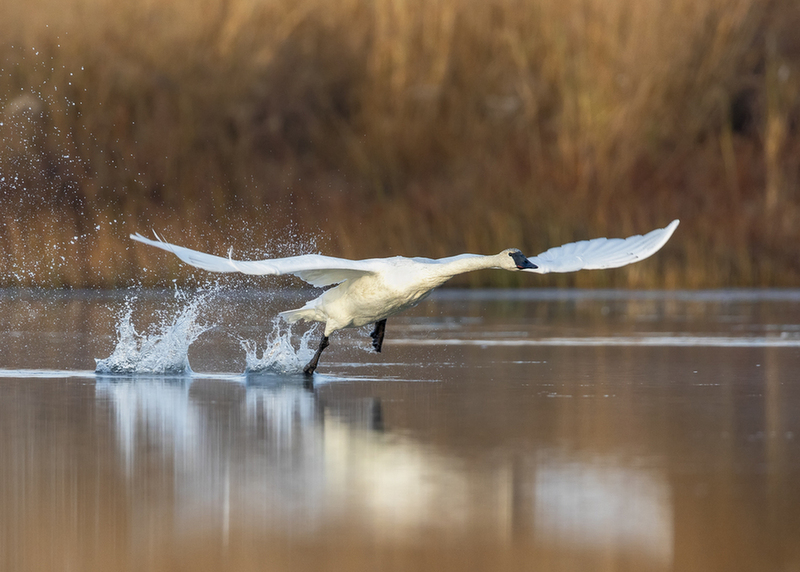 Trumpeter swan taking off early this morning. I've been watching this same swan for the past two weeks at a hidden pothole pond nestled in the middle of acres of wide open prairie grassland. lovely quality to this. must be viewed large. Like the light quality too. Very nice! A good-looking takeoff shot with lots of action and splashing water. The lighting is beautiful. Nicely done! I agree! Excellent detail in the larger view too. A beauty, Drew! Drew, comes alive when viewed large, love the vigorous splashing of water, and the light & setting is beautiful! Agree with previous comments- a very fine rendition-must be seen large. Love the splashes.